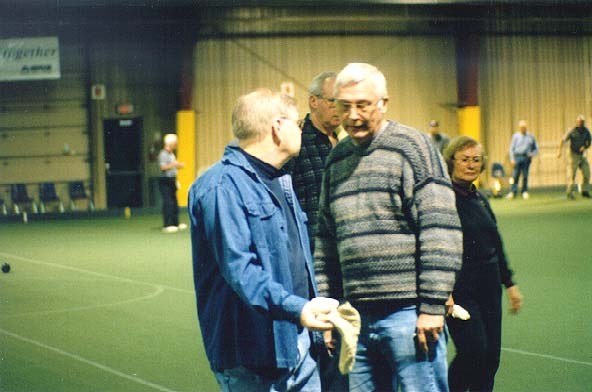 John Bush and Hugh Branston teaming up together at the Richmond Hill Indoor Bowling Club. 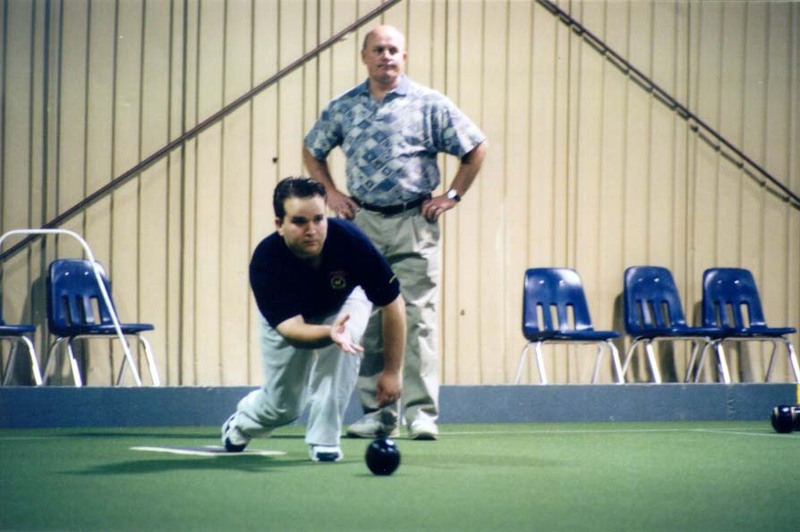 Niagara Falls LBC member Chris Stadnyk playing at the Richmond Hill Indoor Bowls Club. A new Niagara Falls LBC member, Laura Seed practicing up for the summer at the Richmond Hill Indoor Club. 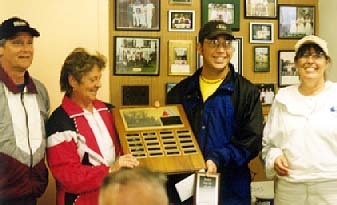 Club Members Ryan Stadnyk and Sandy Barmstone accept the trophy for the Modern Corp. Mixed Pairs held at the Merritton LBC. 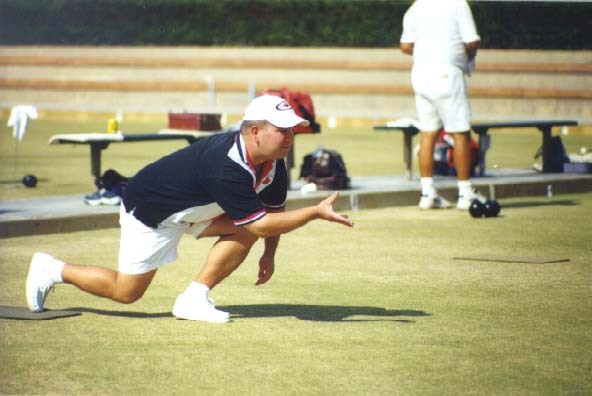 Niagara Falls LBC memeber Chris Stadnyk playing in the US Open at the Laguna Beach Club in Los Angeles. 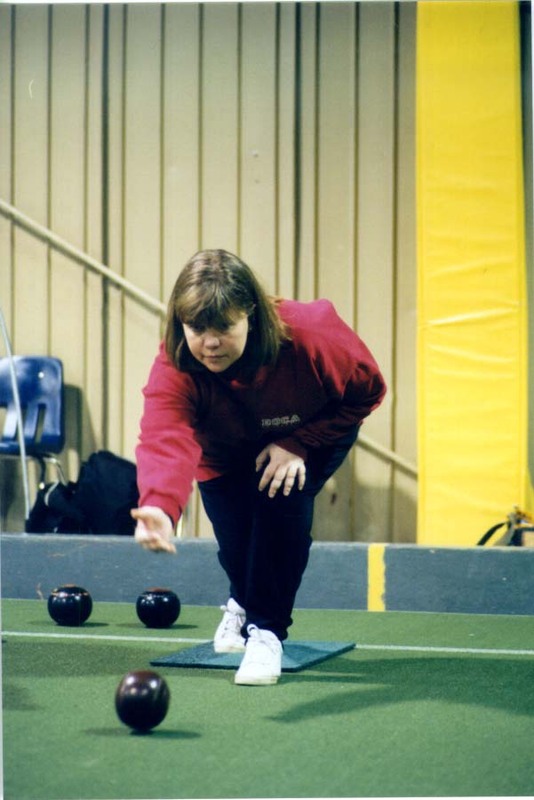 Niagara Falls LBC member Wendy Stevens warming up for the outdoor season at the Richmond Hill Indoor Club. Niagara Falls LBC Member Ryan Stadnyk along with National Team Member Mark Sandford at the Brampton LBC. 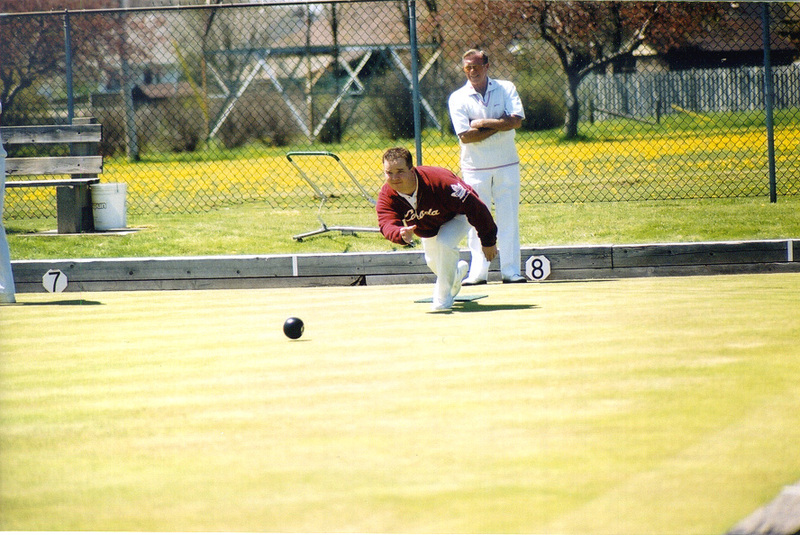 NFLBC member and member of the 2002 Commonwealth Games Squad, Chris Stadnyk as he plays at the Blossom Festival Fours.